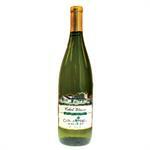 Dry White Wine that pairs exceptionally well with seafood. Try with steamed clams, mussels or smoked salmon. 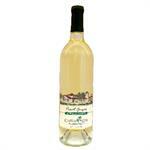 A dry, oaked, white wine which exhibits fresh pear and green apple aromas with a rich, creamy mouthfeel. Great with pan fried scallops, pasta with cream sauce or white fish with lemon butter. 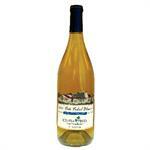 Dry, oaked, white wine with fresh hints of lemon that are married with a warm, toasty heartiness. A perfect wine for a rich cream sauce over pasta or chicken. 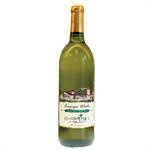 An off-dry, un-oaked, white wine with excitingly fresh and crisp citrus flavors. A perfect match for your favorite spicy foods. Also serves very well with steamed clams. A Semi-sweet, unoaked, white wine that expresses mango and other tropical fruit flavors finishing with a crisp taste. Works wonderfully with lighter fish dishes or shrimp and rice. 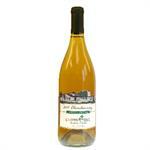 A semi-sweet, un-oaked, white wine with distinct peach and floral aromas. It will leave your mouth feeling refreshed after spicy or salty dishes. 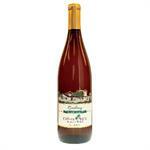 A lusciously sweet white wine that flaunts flavors of honey and pineapple. The perfect way to end an evening with strong blue cheeses or with a rich cheesecake. A sweet, white dessert wine that is a great sensation for the nose! Just give it a good chill and sip away!